Worrying about shifting? Well, all know that relocation is a tough and hectic task but if we do with some good planning and the organized way you can move easily and smoothly. Relocation implies moving or shifting to a new place. This could be shifting to a business, an office or simply people moving to a new house. The best aid for handling move is, of course, the moving with professionals. Don’t panic! We are here with some fruitful and best packing tips that you can follow to shift your items securely to a new place. Now is a great time to drop the unused and unnecessary items from your home that you don’t need or won’t in the new area. It is easy for you to pack up with less stuff. Sort your items as indicated by their ease of use. At last moment unpacking is the hardest phase of relocation process so start packing the stuff you know you won’t be using as early as couple months out. To pack everything appropriately you should have enough time. If you are having heavy stuff make sure that you have to pick the right box for specific items. Use large boxes for light things and small boxes for heavier things, it is important to be in touch with your movers and tell them your requirements. Label your Box is the key to finding your stuff easily so when you enter in your new area you can easily find what you need in a pile of boxes. Use packing tape at the top to seal your boxes. 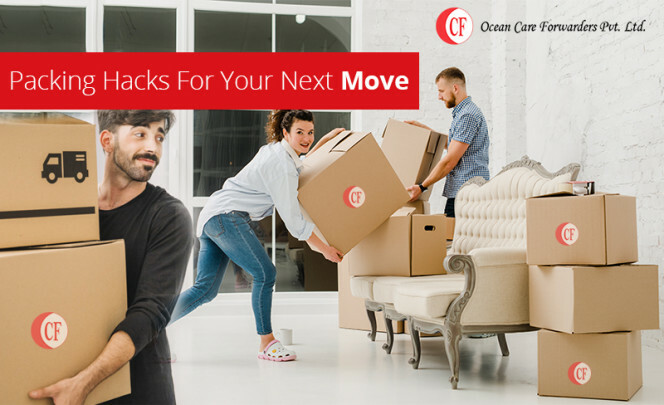 Moving to a new location can be a stressful task, but it doesn’t have to be anymore. In this way research a best packers and movers in your place, We assure your smile till the end of shifting. So, if you will follow these steps then you can make your move easy and happy. Follow these and hire the right Packers and movers who know the exact way of packing and moving stuff and help to move your new home. But it’s not necessary that all the moving companies are trustworthy so you should be smart enough to find the right packers and movers company in Bangalore.